Some of the best video games of all-time launched in 2017. But the year also featured a few real low points that should make anyone concerned for the future of the industry. First, the high points: In March, Nintendo launched its highly-anticipated game console, the Switch. It’s a clever piece of hardware that works with TVs and as a portable handheld device. The Switch is a brilliant and simple design that I fell in love with almost immediately, and would recommend to almost anyone, even if you already own a PlayStation 4 or Xbox One. In less than a year on the shelves, it already offers some of the best video game experiences that you simply can’t find elsewhere. The Switch owes much of its early success to its big launch game, “The Legend of Zelda: The Breath of the Wild,” which is, simply, one of the best video games ever made. “Breath of the Wild” defies adjectives. As I wrote in March, the game actually brought me closer to my fiancée, who, prior to playing, was not really into video games. 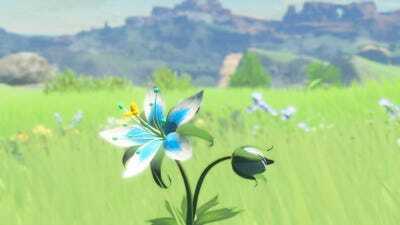 But this Zelda game is not only transformative for the long-running Zelda series, but for video games in general. It won countless game-of-the-year awards in 2017 for good reason: It is simple and approachable like the best Nintendo games, but is deeply customisable in the sense that it’s impossible for any two players to have the same experience. 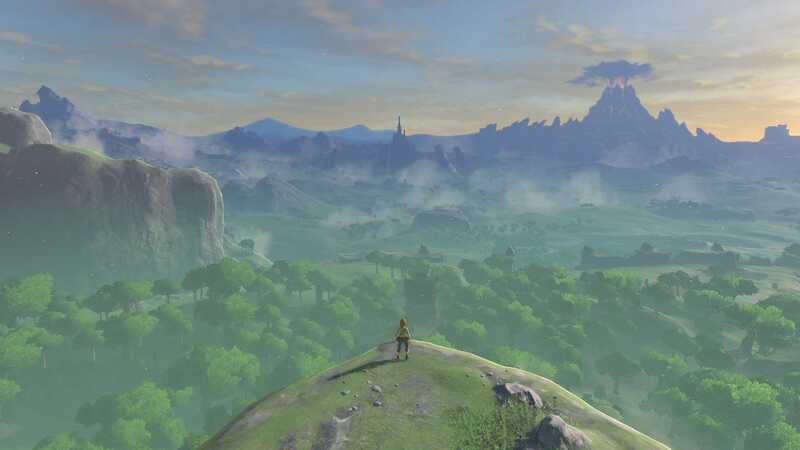 “Breath of the Wild” presents a vast open world and asks you to explore it. It rewards you constantly for wandering off the beaten path, experimenting, and asking yourself, “What if I approached this problem this way?” It’s got memorable characters, an easy-to-follow story, and gorgeous visuals; it’s everything that is right with video games. Nintendo’s follow-up in October, “Super Mario Odyssey,” is similar to “Breath of the Wild” in many respects: It’s endlessly charming, beautiful to look at, and approachable for anyone to play. The game will put a smile on your face again and again, and surprise you with clever puzzles and rewarding solutions around every corner. This was another game that I played with my fiancée, who was highly sceptical of this particular Mario game before playing it – but once she started, she couldn’t stop. We spent hours handing the controller back and forth, sharing laughs and real “wow” moments. It is an unforgettable experience, and it is also everything that’s right with video games. 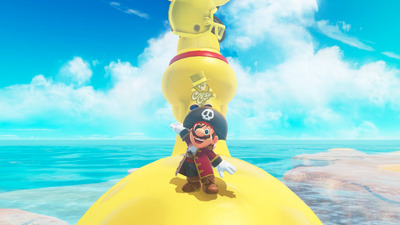 “Super Mario Odyssey” might be the best Mario game ever made (which is saying something), and easily my second-best video game experience of the year. Between “Breath of the Wild” and “Super Mario Odyssey” alone, I could say video games had a banner year — and they did. 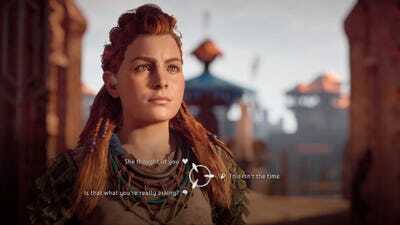 Guerrilla Games/Sony‘Horizon Zero Dawn’ was a real highlight in 2017. There were even more incredible games that launched, like “Horizon Zero Dawn,” which has the best lore and original story in any video game I’ve ever played. “PlayerUnknown’s Battlegrounds” took the PC gaming world – and Amazon’s Twitch live-streaming service – by storm. My colleague Ben Gilbert rounded up several other notable video games that launched this year. But not everything was sunshine and daffodils for the gaming industry. The reality is, video games are still a business, and companies need to make money from selling video games if they’re going to stay afloat – especially in this hyper-competitive landscape, where there are more video games and game consoles than ever. As Jason Schreier chronicled in his excellent book about the video-game industry, “Blood, Sweat, and Pixels,” every single video game requires a considerable amount of time, effort, money and resources – and even then success isn’t guaranteed, so game developers are routinely coming up with clever ways to fund their games and their livelihoods. These days, more video games are experimenting with “microtransactions,” which allow a game to continue making money even after the game has been purchased or downloaded. 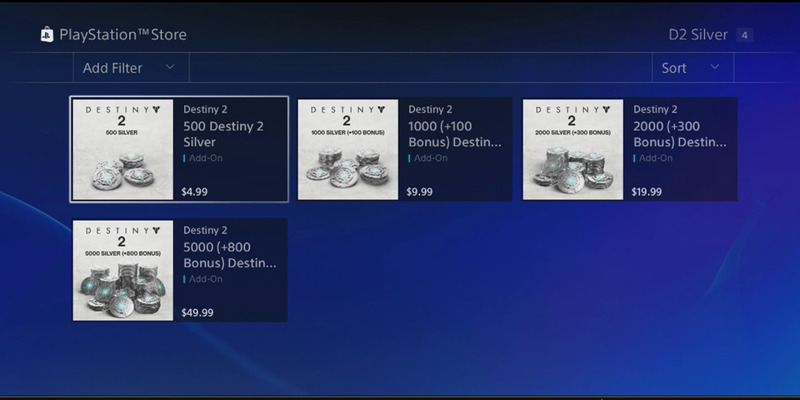 YouTube/CoS GamingMicrotransactions in ‘Destiny 2’ encourage you spend real money to buy virtual currency called ‘Silver.’ You can then use Silver to buy the game’s loot boxes, which offer a chance at highly desirable in-game items. Typically, video games will have some kind of in-game currency, which lets players buy certain items in the game – but if they want, they can spend real money to buy some of that virtual currency, to help them reach their goals faster. This is how microtransactions work: Players pay a few bucks here and there to get some kind of virtual item in the game, and game companies get another source of revenue. This tactic was initially very popular with smartphone games like “Candy Crush,” but the biggest gaming companies have learned that microtransactions are still extremely effective even when games aren’t free, or on a smartphone. In 2017, we saw more video games leaning more heavily into microtransactions. The most egregious example was EA’s “Star Wars: Battlefront 2,” which was met with controversy before it even launched to the public. Critics who got their hands on the game early discovered the game charged a significant amount of in-game currency to unlock the game’s “hero” characters like Luke Skywalker and Darth Vader – this is one of the key selling points of the game: to play as your favourite “Star Wars” heroes and villains. 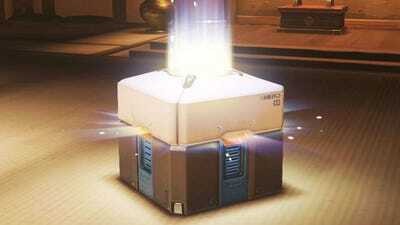 People discovered that to unlock those “hero” characters, you’d literally need to play the game for hundreds of hours to earn enough in-game currency, or use real money to buy the game’s “loot boxes,” which only offer a chance to win points used towards unlocking those “hero” characters. Between these unfavorable odds for getting enough currency to unlock hero characters, and the public-image nightmare Disney was facing with its Star Wars brand encouraging young players (and their parents) to essentially gamble real money on loot boxes in a video game, EA was forced to make changes to its game at the last minute – but the changes were minimal and temporary, and not enough to solve the game’s underlying issues. Microtransactions have also hurt “Destiny 2,” which was one of the most anticipated games of the year. 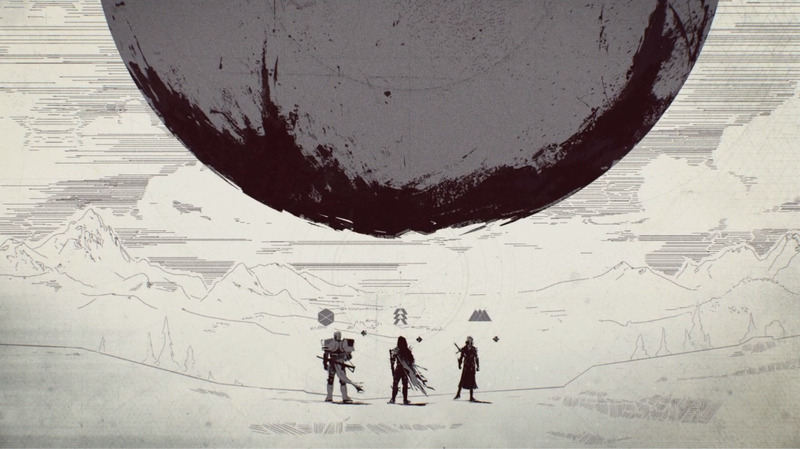 Bungie actually introduced microtransactions to the first “Destiny” game in October 2015, but the game’s sequel has made microtransactions a centrepiece of the game, rather than just a feature to help Bungie pay for more features and in-game events. In the first “Destiny,” players got the best rewards for completing the game’s more challenging activities, like the six-person raids; in “Destiny 2,” however, the game’s most attractive rewards flow through the “Eververse” store, the game’s virtual storefront where players can use in-game currency (which can be bought with real money) to acquire items in the game. Yes, almost every item in Bungie’s Eververse store is obtainable simply by playing the game – you earn “Bright Engrams,” which are the loot boxes of “Destiny 2,” just by playing the game’s normal activities. 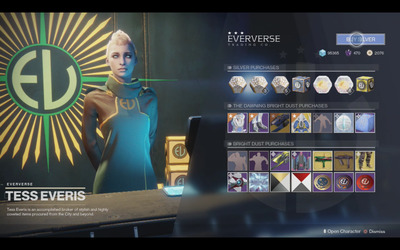 That said, the game’s activities offer fewer unique rewards compared to the sheer number of one-of-a-kind rewards in the Eververse store, and that’s changed the dynamic of the game. Whereas most of the excitement of the first game revolved around playing activities over and over again in hopes of winning a really rare item, the game now asks you continually visit the Eververse store for the best-looking gear in the game. It’s all the “Destiny” community talks about these days on the game’s dedicated subreddit. Microtransactions epitomize one of the biggest struggles in the gaming industry right now: Game developers need more money to fund video games that keep getting bigger and better looking, but asking customers to pay more money after spending $US60+ on the base game has the potential to upset a lot of people. The problems with microtransactions boil down to two things: communication and fairness. Companies could do more to tell fans why microtransactions exist in their game. Perhaps fans would be more forgiving if companies explained how revenue from microtransactions would be used, like if it were put towards hiring designers and engineers, or future software updates, or buying more server space. That said, communication can only go so far; game companies need to do more to ensure their microtransactions are actually fair. Apple recently did the right thing by requiring all apps and games with “loot boxes” to disclose their odds; other game companies should follow suit. Though the prevalence of microtransactions should make anyone wary about the future of video games, these failures also present an opportunity to learn from mistakes and improve on what exists to create something better for the people who make and play video games. 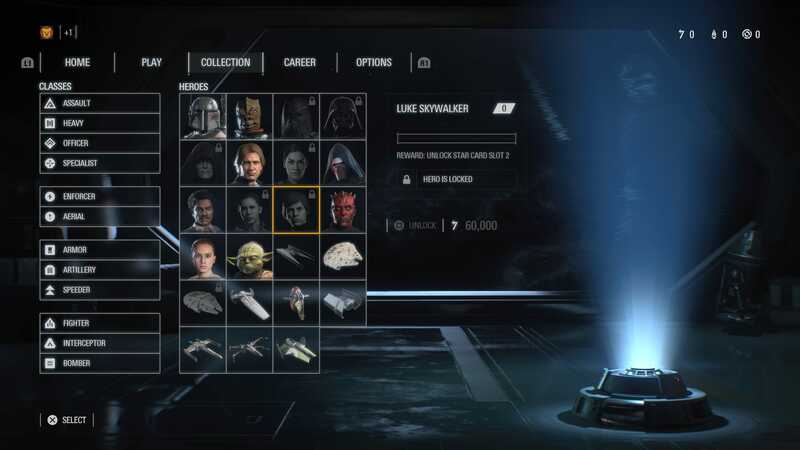 Microtransactions, at least from a public-relations perspective, have not served games like “Battlefront 2” or “Destiny 2” well. It hurts customers, but it must also pain the majority of people who make those games – the designers, the artists, the editors, the audio team, etc. – when their hard work is undercut by something as simple as the game’s economy. It would serve everyone, the game makers and the people who play their products, for things to improve. My advice to game companies: Listen to your fans, and be willing to change your games to make people happy. Games are no longer set in stone like they were back in the days of physical cartridges; almost every single video game these days can be updated, just like a smartphone app. So in the case of “Destiny 2” and “Battlefront 2,” there is still an opportunity for Bungie and EA, respectively, to turn things around through simple software updates. If these companies can be more transparent about their processes and learn from their mistakes, there’s no reason the next games in these companies’ respective series – “Destiny 3,” or “Battlefront 3” – couldn’t be high points for the game industry.